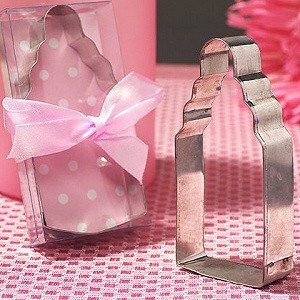 If you're looking for a cute cookie cutter baby shower favor, check out our fun bottle shapes. Any of your party guests will appreciate the uniqueness of this favor to commemorate an important day in the baby's life. 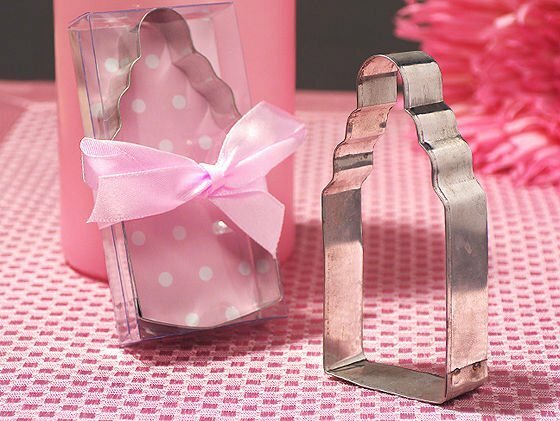 Each sturdy tin cookie cutter measures 1.5" x 3.5" and comes in a clear gift box for ease of giving. The gift box features pink and white polka dot backing and pink satin ribbon to complete the presentation.